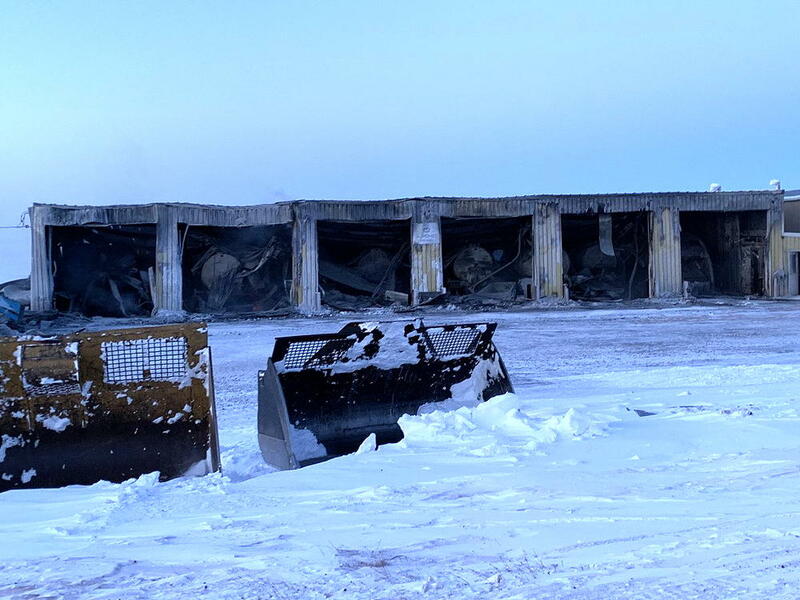 On behalf of the municipal council of Baker Lake, we would like to express our sincere appreciation to everyone involved in the recent fire that caused significant loss to the municipal services fleet as well as destroyed our largest equipment parking facility. To start with, our volunteer firefighters did a fantastic job fighting the fire and thankfully, with no serious injuries. Hamlet staff quickly came together and put forth amended work schedules that saw our community receive a reduced level of service, but a vital service nevertheless. This all occurred within hours of the incident. The municipality received tremendous immediate and ongoing support from the Community and Government Services team, in particular, with regards to the logistics and financial requirements associated with air transportation for three newly acquired vehicles. Aurora Hay River Heavy Truck Sales was contacted regarding the availability of replacement vehicles, and their team worked diligently in securing two complete sewage trucks, as well as a chassis, in a short period of time. This was accomplished due to two municipalities willing to delay receipt of vehicles committed to them by Aurora. Those two communities are the Hamlet of Enterprise, Northwest Territories, and Little Red River Cree Nation, Alberta. We are very thankful for their act of kindness to another community in need. Agnico Eagle Mines Ltd. also stepped up immediately by offering the municipality the services of a vacuum truck they had on site, which allowed us to have two vehicles to service our municipality. They also authorized the aircraft transporting the new vehicles to land on their airstrip and had their mechanics reassemble the trucks and deliver them to Baker Lake. Local contracting companies, including Peter’s Expediting Ltd, Arctic Fuel, and Baker Lake Contracting and Supplies Ltd., all provided various options for assistance, including but not limited to transportation of goods and services, the immediate availability of equipment usage, and access to their staff resources, if required. The Hamlet of Arviat, being a relatively close neighbor, contacted us and offered one of their sewage trucks to assist until we can rebuild our fleet at sealift time. A resident of Arviat, Mr. Joe Manik, and the staff of Arctic Traders, provided a cash donation to the residents of Baker Lake to assist with the purchase of bags to be used with honey buckets—a very thoughtful and appreciated gesture. We were and are very appreciative of messages of encouragement received from most if not all municipalities across Nunavut. Finally, we would really like to acknowledge and commend the residents of Baker Lake for their patience and co-operation during this incident. Municipal services, the provision of potable water and the disposal of waste are basic services that most Canadians take for granted. When this basic service is disrupted, it has a huge impact on community and this impact is amplified in Nunavut due to logistics associated with finding and effecting repairs. Imagine if your entire infrastructure were reduced to one vehicle providing services! Our community united, and respected information being communicated by council regarding this serious situation—a very positive community response to a very negative situation. Very well done! Thank you again to everyone for your generosity and well wishes during our time of need. It is really appreciated! Well expressed letter; as residents of Baker Lake, we certainly concur, and also want to say a huge thank you to everyone at the Hamlet who worked tirelessly to address the emergency — Mayor and Council, SAO, Municipal Foreman, drivers ! Much appreciated!